Perfect conditions (again!) at Nakkertok this morning. Much of the racing trail networks were freshly groomed with grooming still underway on the rest of the trail network. Conditions are a little soft, making it easy to weight shift and balance. 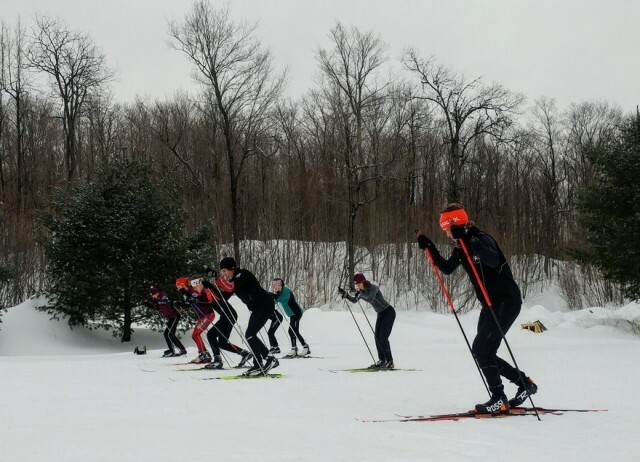 uOttawa athletes were doing a variety of workouts (sprints, agility, zone 4 on sprint loop, zone 3 on 5k loop) and conditions everywhere were amazing.